Yamanashi Prefecture is home to Mt. Fuji, Japan’s most famous tourism resource. In 2019, the Chubu-Odan Expressway will open and join the three prefectures of Nagano, Yamanashi, and Shizuoka from north to south, while the maglev Linear Chuo Shinkansen between Tokyo and Nagoya will begin service in 2027. It is expected these will have a major impact on industry and tourism in Yamanashi. 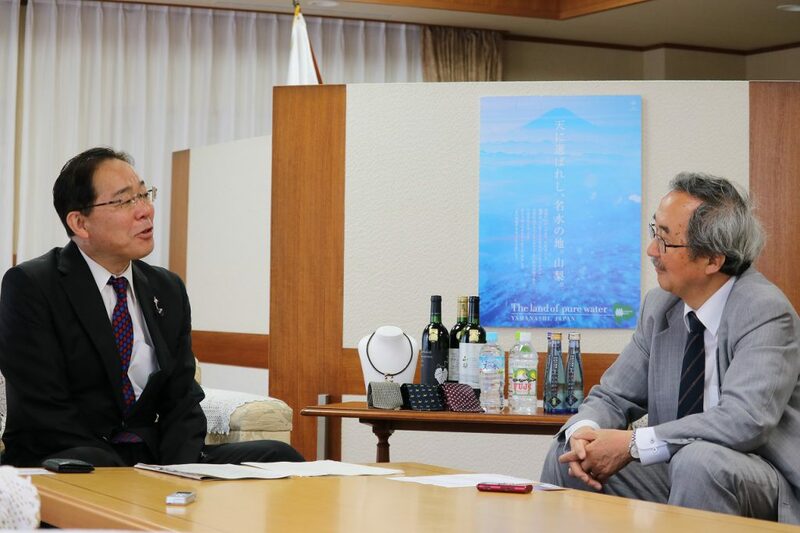 The FPCJ spoke with Yamanashi Prefecture Governor Hitoshi Goto about future plans for the prefecture considering these changes, and about distributing information domestically and overseas. -In the 2016 ranking of areas people want to move to (carried out by the NPO Furusato Kaiki Shien Center [Hometown Return Support Center]), Yamanashi Prefecture was first place. -We dropped to second place two years ago, but managed to take back first last year. Although Yamanashi Prefecture’s population has been declining over the past 15 years, in 2013 we established the Yamanashi Kurashi Shien Center [Yamanashi Living Support Center] in Tokyo, providing consultations and support for people considering moving. Since I became governor in 2015, to respond to the needs of young families the prefecture has eliminated day-care fees for children after the first who are under three years old. In February 2016, Japan’s first pre- and postnatal care center to be made through a collaboration between prefectural and municipal governments was established in Yamanashi, which received the Best Policy Award from the National Governor’s Association. The pre- and postnatal care center provides consultations with midwives and specialists during pregnancy, and allows both the mother and child to rest while staying there after the birth. Yamanashi is also popular with people who live in Tokyo for having everything you need to live: bountiful nature, delicious water, and good weather. Thanks to this easy-to-live-in environment, Yamanashi is actually the healthiest prefecture in Japan, a fact not many people know. By promoting Yamanashi as being number one when it comes to ease of raising children and living a long, healthy life, I hope to see more people relocate to the prefecture. -I understand you are also personally involved in promoting Yamanashi overseas. -Since becoming governor, I have focused mainly on Southeast Asia, going to China, Indonesia, Malaysia, Singapore, and Thailand. I plan to go to Taiwan and Vietnam this year. When promoting Yamanashi overseas, I focus on explaining the appeal of things that do not exist in that country in a way that can be easily understood. 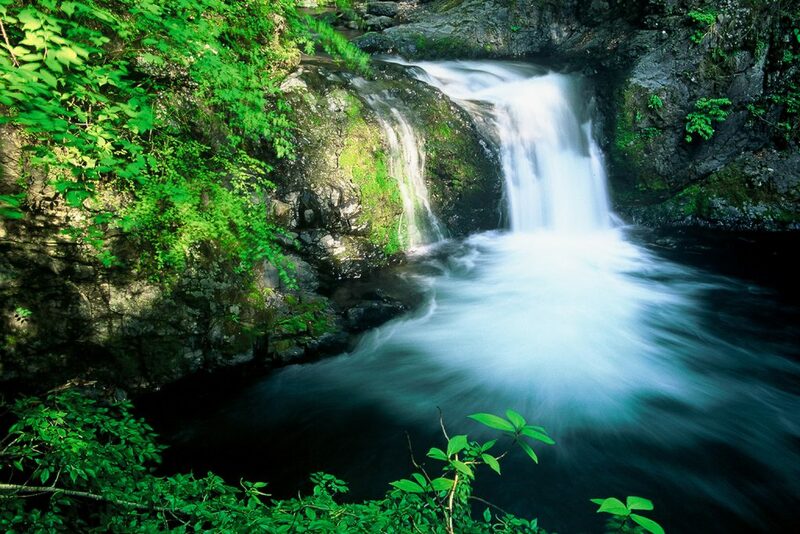 For example, Yamanashi has excellent water. Yamanashi water has a 40% share of the Japanese mineral water market. From there, I explain how that water is used to make delicious sake and to grow fruit. 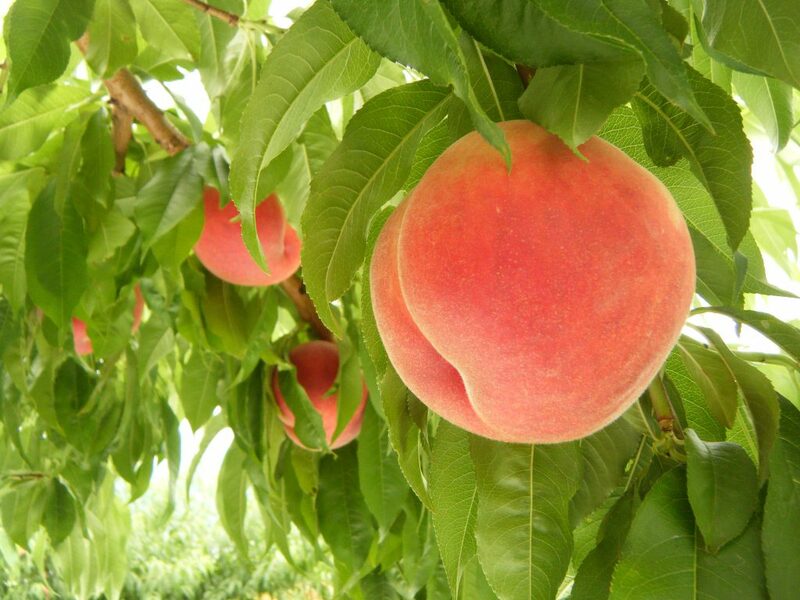 -Yamanashi peaches are indeed delicious. What is the potential for exports? -There are still some issues related to preventing the spread of diseases when it comes to exporting peaches, but Yamanashi is the number one producer of grapes, peaches, and plums in Japan, and fruit producers join me on my overseas promotion trips. It is important to respond to consumer needs, and since fruit which can be eaten without peeling the skin is preferred both in Japan and the rest of Asia, there are efforts underway in Yamanashi to produce variants of grapes with skin that can be eaten easily. In this way, I believe improving preexisting things is important. No one thinks a raw diamond is beautiful as is. Tourism is a broad concept, and can be combined with agriculture or local industry. The necktie I am wearing is from Gunnai, a district at the base of Mt. Fuji known for its silk. Yamanashi is also the number one producer of neckties in Japan. This jewelry is also made in Yamanashi, which is known for its accessories, and is made of platinum and amethyst. I wear both every day. -How are you going to make this information available overseas? -I believe that multilingual support is important. Being able to access information in your first language is both reassuring and convincing. As of March 2016, Yamanashi Prefecture’s official tourism app, Fujisan Activities, now supports seven languages (Japanese, English, Chinese (Traditional and Simplified), Korean, Thai, and Indonesian). The prefecture’s homepage was also updated, and now supports six languages using machine translation. I hope this will enable information to spread more easily. -The Tokyo Olympic and Paralympic Games will be held in 2020, and the Linear Chuo Shinkansen is planned to begin operations in 2027. What initiatives will you implement to take advantage of these events to promote Yamanashi? -Although the Olympics and Paralympics are being held in Tokyo, as Yamanashi neighbors Tokyo, I believe it will be an excellent opportunity for promotion. Currently we are working on having the French and Thai teams come to Yamanashi for training camps ahead of the games. I hope people who visit Yamanashi, both domestic and foreign visitors, will appreciate not just its proximity to Tokyo, but the quality of its nature including the air, water, and weather. -Yamanashi’s delicious wine seems like it would be popular in France. I would also like to increase awareness about Yamanashi’s history and culture. For example, the Koshu Nishiyama Onsen Keiunkan in Hayakawa is listed in the Guinness Book of World Records as the world’s oldest hotel. In this way, I would like to promote a variety of information about Yamanashi leading up to 2020. 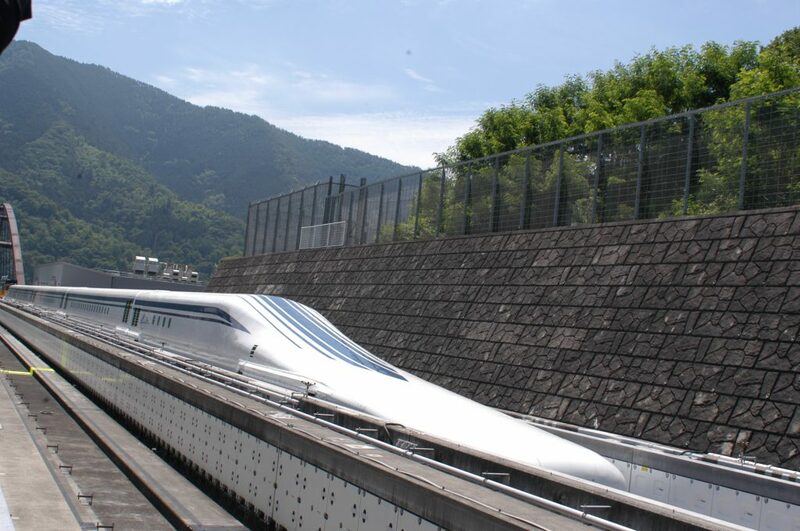 -What about the Linear Chuo Shinkansen? -I consider it a major project to help Yamanashi grow. Foreign tourists that land at Haneda Airport will be able to transfer at Shinagawa Station and arrive in Yamanashi in less than 30 minutes. The Kofu-Chuo Smart Interchange will also be built for the Chuo Expressway near the new Linear Chuo Shinkansen station, so it will only be another 30 minutes by car from the station to Mt. Fuji. This is an example of how the area accessible from Tokyo within one hour will expand. 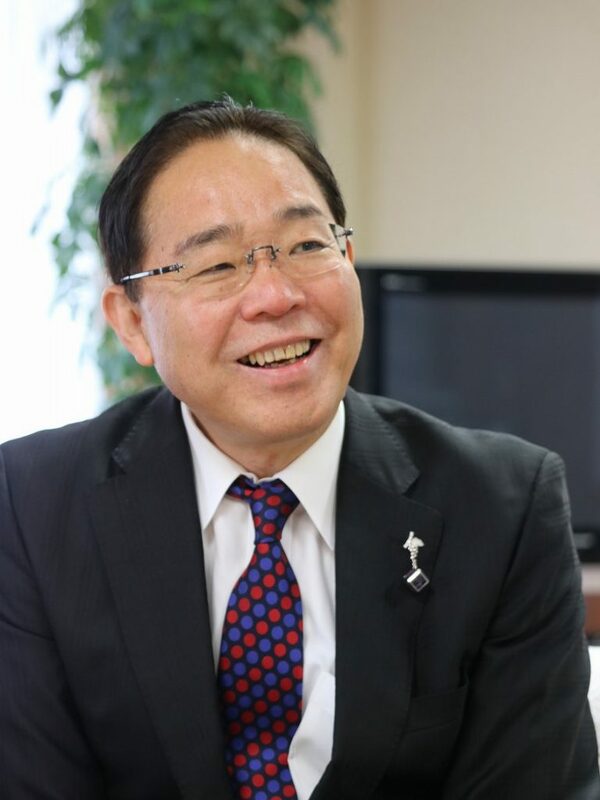 Transportation for Yamanashi residents will also improve, and I believe the Linear Chuo Shinkansen will benefit industry and tourism in Yamanashi. I would also like to disseminate this kind of information as widely as possible. -Thank you for speaking with us today. 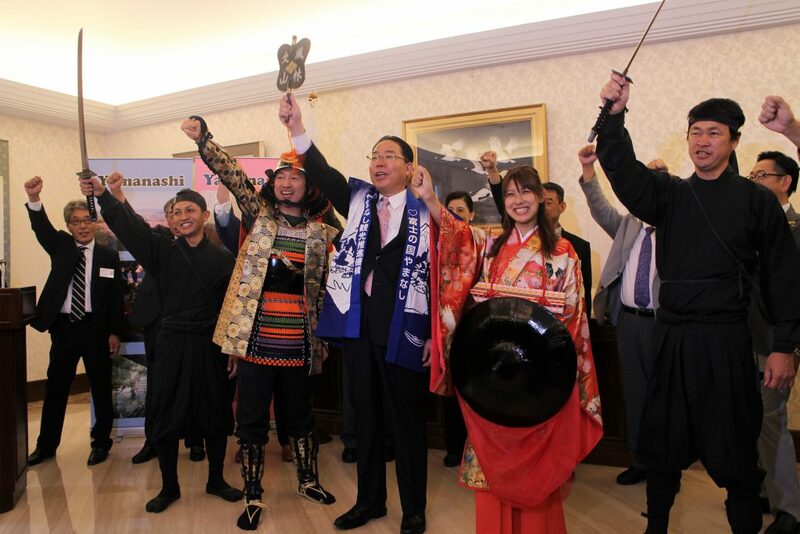 The FPCJ will of course assist in helping to promote Yamanashi around the world.